One of the major changes that come through the iOS 12.2 update is the integration of Apple News+that extends the earlier Apple News experience. The paid service that brings access to more than 300 magazines, various newspapers, and digital publications. 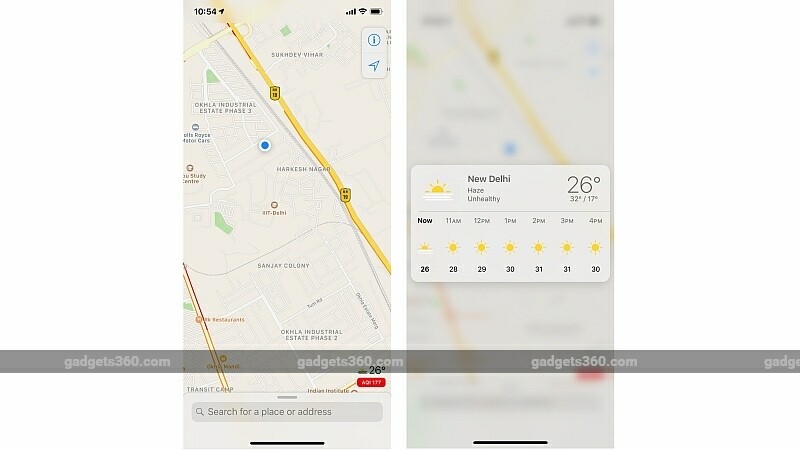 It lies under the Apple News app that comes preloaded on iOS devices in limited markets — except India. The iOS 12.2 update also comes with four new Animoji, including an boar, giraffe, owl, and shark. These animated characters can be accessed through iPhone X₹ 73,500 and later, iPad Pro 12.9-inch (3rd generation), and iPad Pro 11-inch. The iOS 12.2 update also brings the fake 5G icon to the iPhone 8₹ 56,999 and later, iPad Pro 12.9-inch (3rd generation), or iPad Pro 11-inch that indicates users when they’re in AT&T’s 5G Evolution network area. There are tons of other tweaks and changes available through iOS 12.2 that you can view through the dedicated Apple Support page. Moreover, you can also read about the security content of the iOS 12.2 update by visiting the official support page. 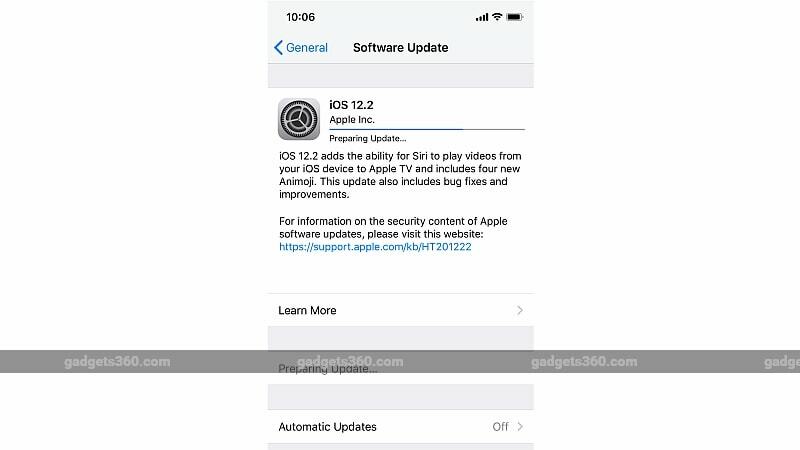 The iOS 12.2 update is compatible with all the iPhone, iPad, and iPod touch models running iOS 12. To download the latest version on your device, go to Settings > General > Software Update and then follow the on-screen instructions.